UK retailer GAME is listing the Saints Row: The Third – The Full Package Deluxe Pack for Switch. 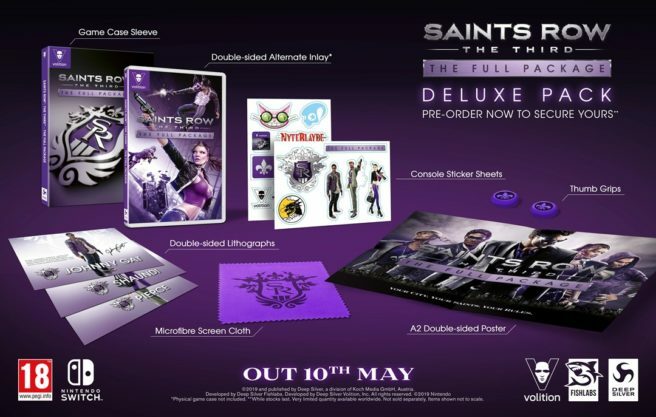 Copies include the game, game case sleeve, double-sided alternate inlay, sticker sheet, thumb grips, double-sided lithographs, microfiber screen cloth, and a poster. Pricing is set at £34.99. Pre-orders are now open at GAME here. At least for now, no other retailer is listing this version of the release.